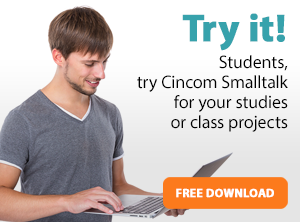 FOR: Students and professors looking to use Cincom® ObjectStudio® or Cincom® VisualWorks® for academic use ONLY. FOR: Developers looking to use Cincom ObjectStudio or Cincom VisualWorks for evaluation purposes ONLY. 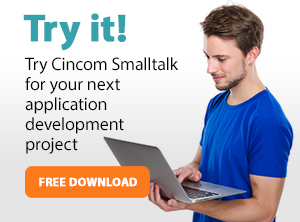 NOTE: Maintenance Releases of all products are ONLY available to Cincom Smalltalk customers. If you need the maintenance release, please contact our Product Team and we can advise you on how to get it.